Centennial of Naval Aviation – USMC Style! 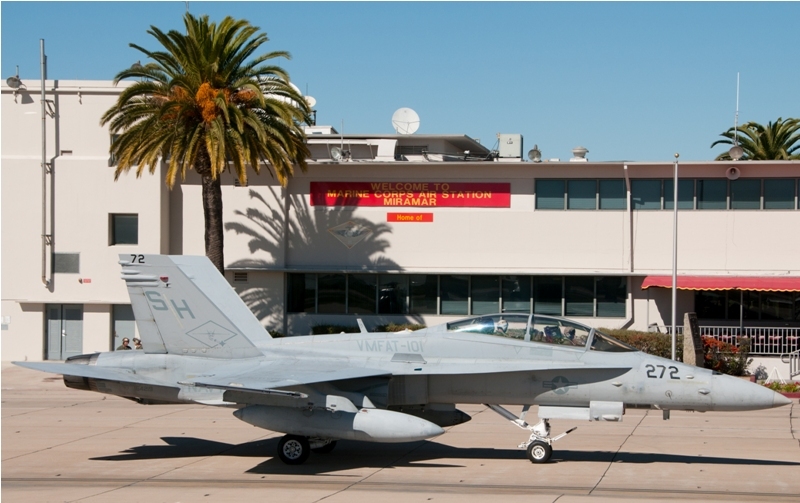 In celebration of the Centennial of Naval Aviation (CoNA) and coinciding with the CoNA events at Naval Air Station North Island (San Diego, CA) on February 11th and 12th, Marine Corps Air Station Miramar opened its flight line to the media to celebrate this historic event. 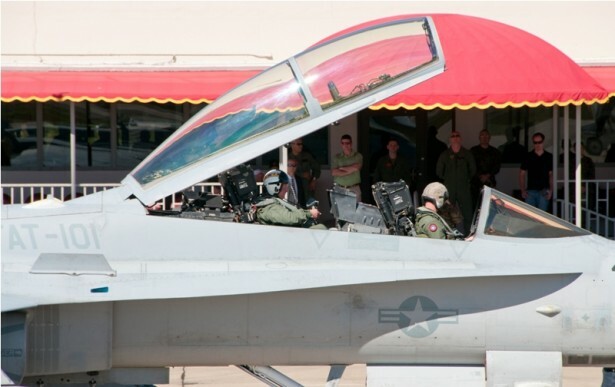 On Friday at 8am, 20 media personnel were given unprecedented access to MCAS Miramar flight line. We were escorted to Base Operations and there we were given a continental breakfast. Parked in front of Base Operations was a group of past and present fixed and rotary wing aircraft flown by the USMC and/or USN. These aircraft were a T-28 Trojan, TA-4 Skyhawk, Sikorsky HRS-2, MV-22 Osprey, F/A-18 Hornet, E-2 Hawkeye, and a HH-60 Jayhawk. In addition, each of the active duty aircraft had their respective flight crew on hand to field questions. I spoke with several crew members as I walked from aircraft to aircraft. First I spoke with the crew members of the E-2 Hawkeye – Lieutenant Rich “Alf” Westerfield and Lieutenant Olivia “Bobble” Degenkolb from VAW 112 (Golden Hawks). Lieutenant Westerfield has been a Naval Flight Officer for 4 years and serves as an airborne early warning operator. 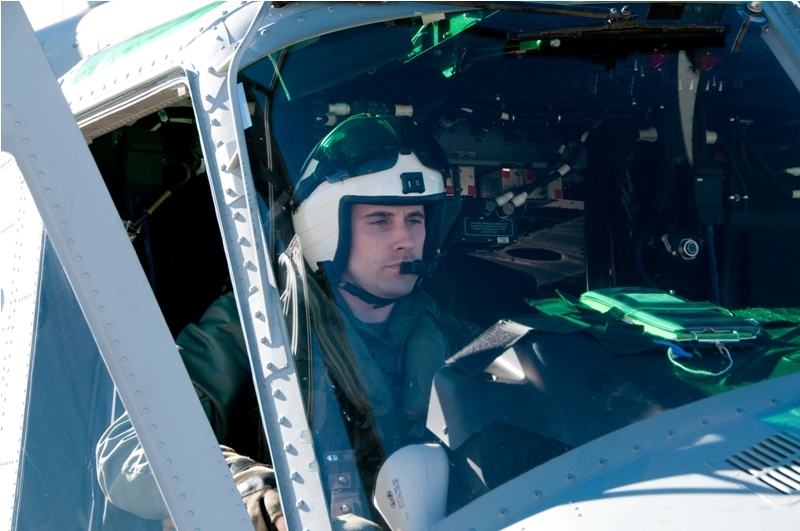 Lieutenant Degenkolb also an airborne early warning operator has been a Naval Flight Officer for 9 years. I asked both Lieutenants what their perspective on CoNA was. They said it was an honor to be part this truly once in a life time event. Both added that it is also an honor and privilege to be an officer in the United States Navy. After CoNA, Lieutenants Westerfield and Degenkolb will start “work ups” in preparation for the Golden Hawks combat cruise. 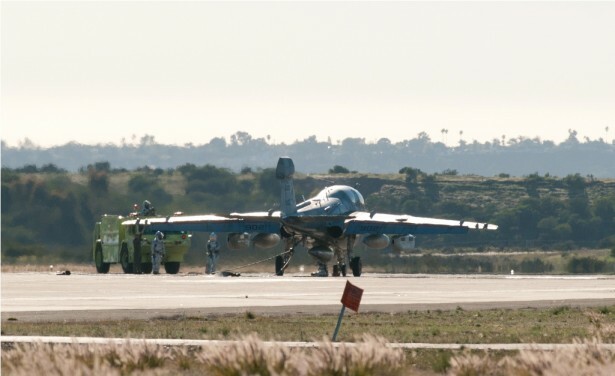 The Golden Hawks are stationed at Point Mugu (near Ventura, CA) and are the early warning component to Carrier Air Wing 9 aboard the USS John C.Stennis. 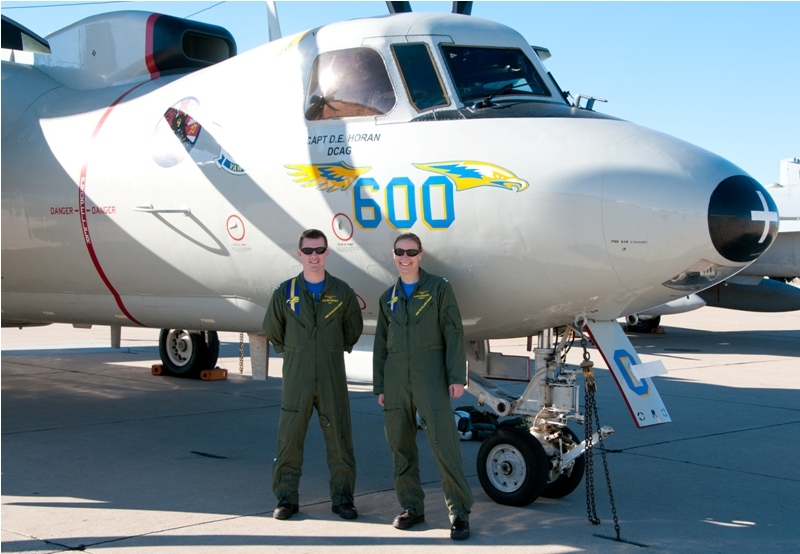 Lieutenant Rich “Alf” Westerfield and Lieutenant Olivia “Bobble” Degenkolb pose in from of the CAG Bird from VAW 112. 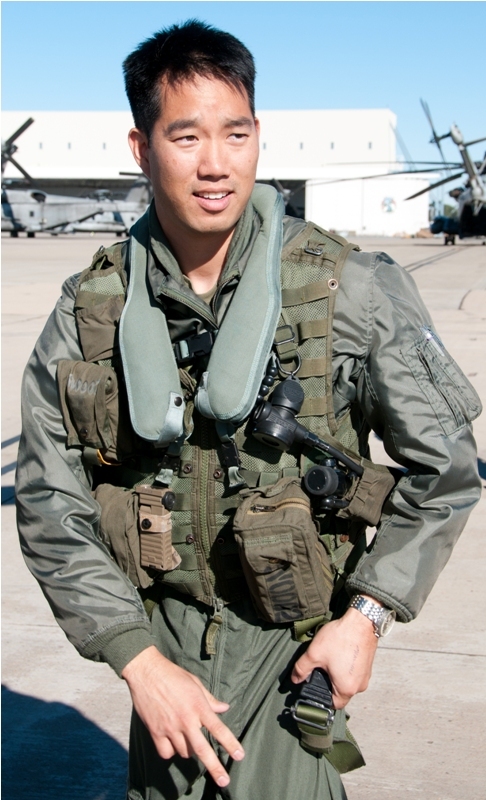 Captain Eric Lum donning his flight gear before our flight. First Lieutenant James Gianelloni conducting a pre-flight check. Captain Eric Lum checking his map before engine start. Our flight crew for our “Yankee Huey” flight was Captain Eric Lum, First Lieutenant James Gianelloni, and Corporal Creeser. After engine start, we boarded the Huey and strapped in to an outboard seat on the right side of the helo. 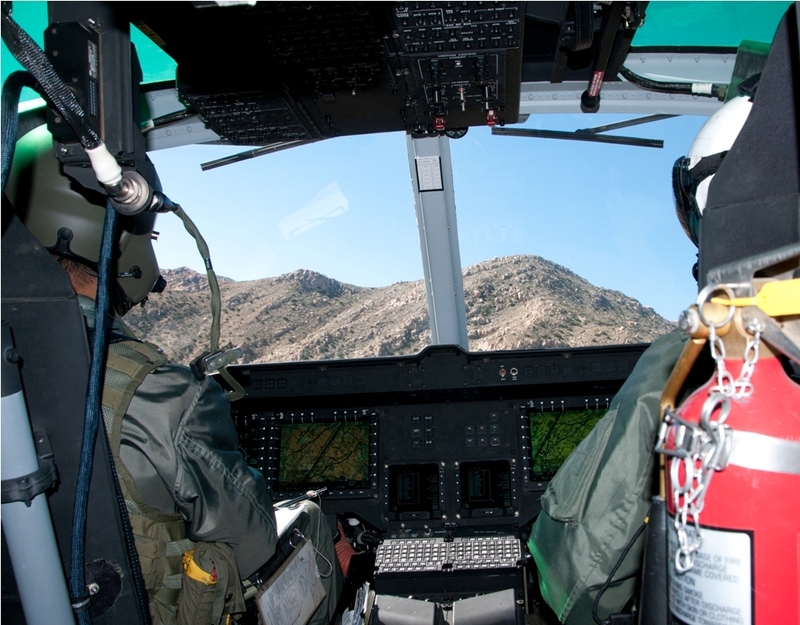 We took off and flew eastbound towards El Centro. Once we crested the mountain range of the El Capitan reservoir, Captain Lum and 1st Lieutenant Gianelloni took us on a nap of the earth (NOE) flight profile, demonstrating the maneuverability of the Yankee model! It was very much an “e ticket ride” without the hint of being airsick! I was flying in the Marine Corps latest Huey version, doors opened, and “yanking and banking” through the hills in eastern San Diego County. What else could I ask for? Well in our rapid departure mode, I forgot one critical piece of gear. My jacket! Prior to being assigned the flight, I was walking around the flightline in 75 degree weather wearing a polo shirt and BDU pants. Had it not been for the excitement and adrenaline rush of the flight, I would have frozen to death over the El Capitan Reservoir! 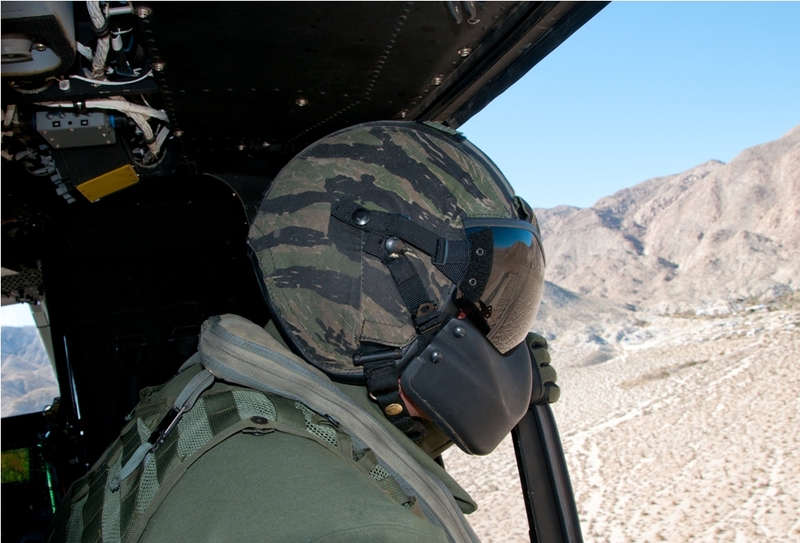 Crew Chief Corporal Creeser looks out over the hills of eastern San Diego County. Captain Eric Lum and First Lieutenant James Gianelloni at the controls. Once through the mountains, the pilots shot 3 approaches to the landing strip at Agua Caliente and then it was time for the return trip home. Our total flight time was approximately 75 minutes. I walked away from the flight having a new found appreciation and respect for the 50+ year old Huey. Other than the surprising maneuverability, I noticed that the Yankee model, which has a 4 bladed main rotor, is much quieter than its 2 bladed cousin. 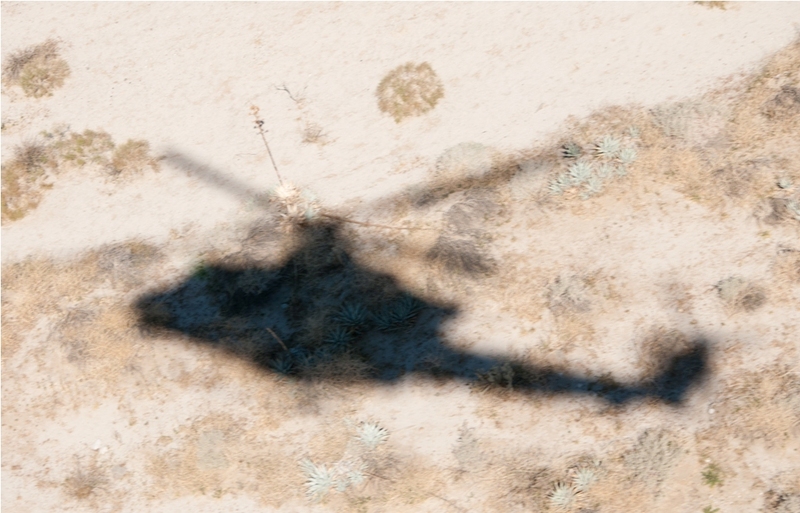 Like other aircraft with a distinct sound (such as the C-130 or the C-5) and losing that sound signature during re-engine retro fits and upgrades, gone is the distinctive “whop whop” sound that was once synonymous with the Huey. 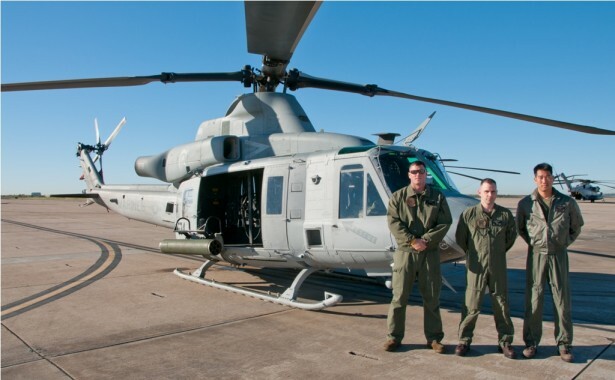 The Marine Corps expects to replace its aging fleet of UH-1Ns with 120+ Yankee model Hueys by 2016. 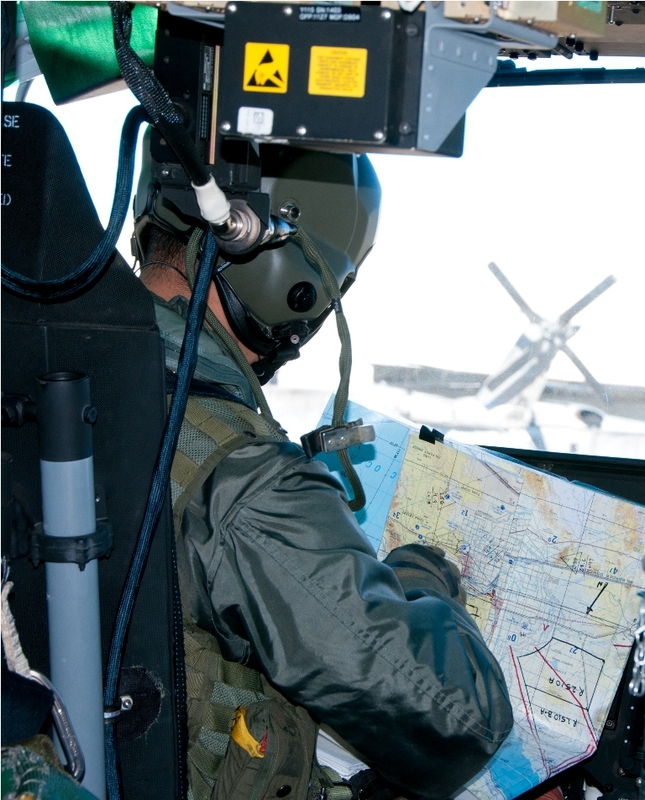 The Yankee model will provide Marine Corps aircrews with advanced avionics, improved power plant, and increased battlefield survivability. Local media weren’t the only “ride alongs” in Marine Corps aircraft during today’s media event. 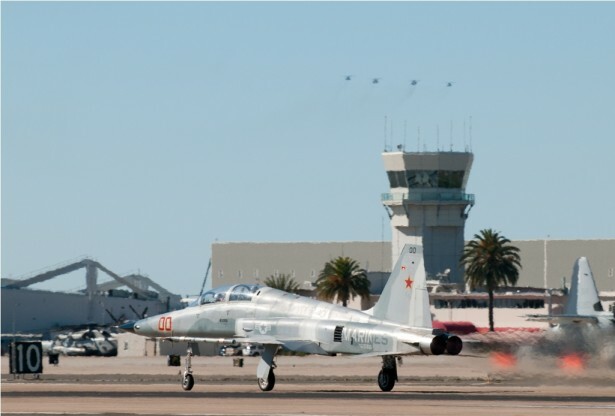 San Diego Mayor Jerry Sanders had the opportunity to fly with VMFAT-101 (The Sharpshooters). After the flight, the delta model Hornet taxied up to the front of Base Operations where various USMC and other VIPs welcomed and congratulated Mayor Sanders on his flight. San Diego Mayor Jerry Sanders pulls up to MCAS Miramar Base Operations. Mayor Sanders prior de-planing VMAT-101 Hornet. After returning from my UH-1Y flight, I spoke with Hornet driver – Marine Corps Captain Taj Sareen who was the fixed wing aircraft representative for the USMC during today’s media event. Captain Sareen just returned from his first combat tour with VMFA 232 (Red Devils) in December 2010. During their combat tour, the Red Devils dropped 40,000 pounds of ordnance. Captain Sareen participated in 24 combat strikes and dropped live ordnance on enemy combatants. 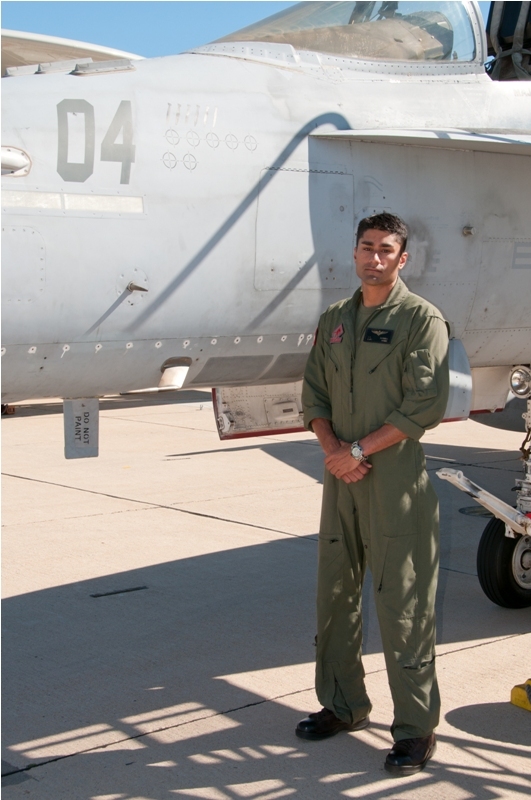 Captain Taj Sareen standing in front of one of VMFA 232 (Red Devils) Hornets. While waiting for fellow Photorecon photographers Joe Kates and Dave Budd to return from their MV-22 Osprey ride, I saw Major General Tom Conant talking with the crew of the AH-1Z Super Cobra and the Golden Hawks Lieutenants Westerfield and Degenkolb. Once he was done with the Cobra crew and the Navy Lieutenants, he walked over to me. The general was dressed in a flightsuit with only a leather name tag and drinking a soda. No entourage and no fan fair. The general introduced himself to me and asked if I had everything I needed…Hmm let me think general – a Huey ride, flight crew interviews, and a continental breakfast! What more does an aviation photographer need? The general and I were only able to speak for a few minutes, but what I was able to learn from him in our brief conversation was that he began flying Cobras in the Marine Corps in 1976, he is both fixed and rotary wing qualified, and is the Commanding General for the 3rd Marine Air Wing. As Major General walked away, I was beyond impressed. Here was the man in charge of Marine Corps aircraft not only at MCAS Miramar, but at MCAS Yuma, USMC Air Ground Combat Center Twenty-nine Palms, and Camp Pendleton, taking time to speak with the media, making sure USMC was accommodating our needs. Some might envision a general as something “Patton-esque.” Major General Conant was definitely not that! He was well spoken, no air of ego or arrogance, and very easy to talk with. My conversation with Major General Conant was a great way to end the day. 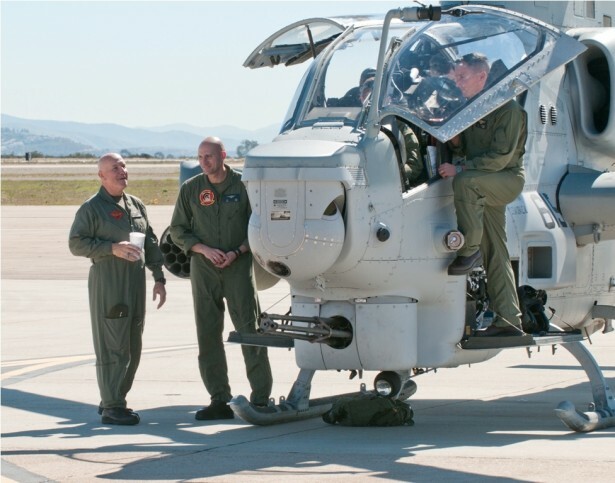 Commanding General for the 3rd Marine Air Wing Major General Tom Conant (far left) speaks with one of his AH-1Z crews as they show off their new aircraft to Navy Lieutenants Westerfield and Degenkolb (seated in the aircraft). (NASNI). In addition to miscellaneous retro paint aircraft and static displays, was a “Parade of Flight” consisting of 190+ aircraft. These 190+ aircraft included past and present aircraft flown by the Navy, Marine Corps, and Coast Guard and would end with a mass aircraft fly over (35+ aircraft) from Carrier Air Wing 9. Current military aircraft flown by the Navy and Marine Corps that were participating in On Saturday, the CoNA event was open to the public at Naval Air Station North Island CoNA were staged at MCAS Miramar. Photorecon returned to MCAS Miramar the next day, with about 15 other members of the media. Today, we would be escorted to what some aviation photographers would consider the “holiest of holys” in terms of runway access – shooting in between the 2 active runways at MCAS Miramar! The general consensus from our group and our USMC escorts was that it had been many years since photographers had been allowed to shoot from this spot. 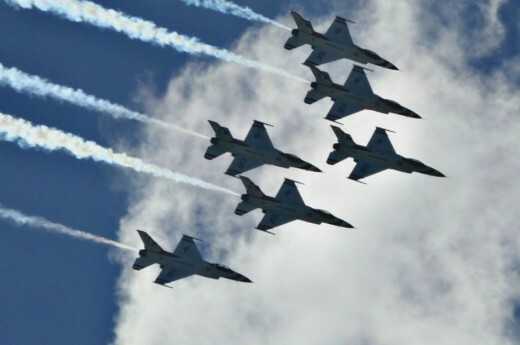 Starting at 1240pm, the participating aircraft began departing. 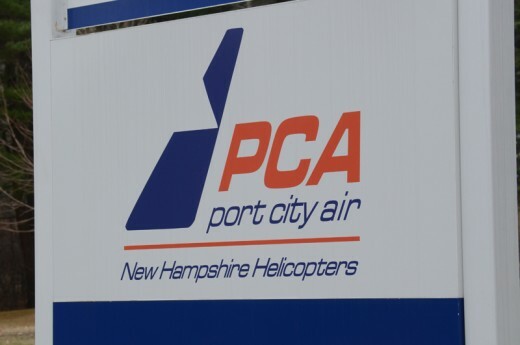 For the next 80 minutes, 50+ fixed and rotary wing aircraft departed. I have been fortunate enough to attend Red Flag where I have seen mass launches. 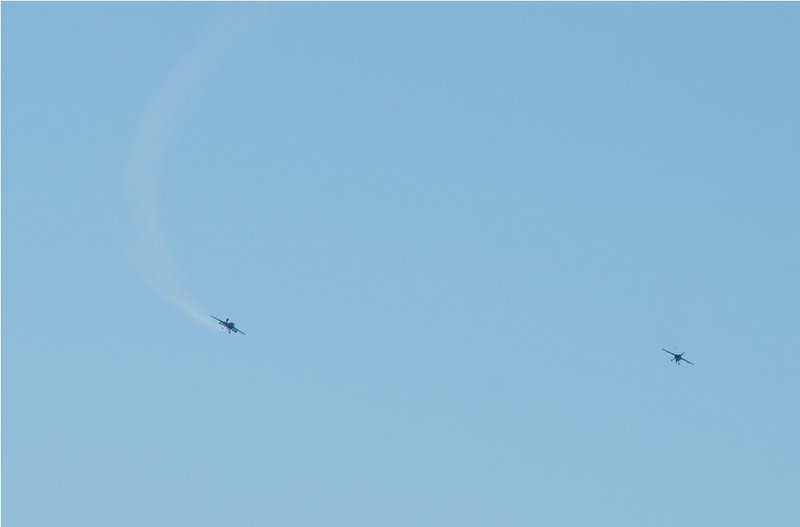 With that said, this launch of CoNA aircraft was nothing short of unbelievable! 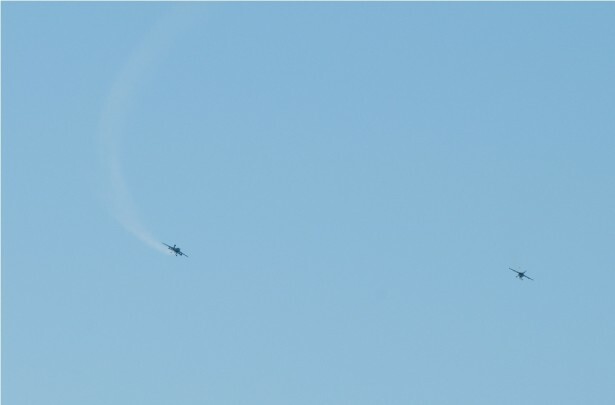 How incredible is it to have a branch of service (in our case The United States Marine Corp) that allows you see Hornets departing in full burner, hear the deafening Harrier take off or an E-2 Hawkeye launch at full power, and smell jet fuel and burnt rubber before and after the launch. 4 KC-130s, 8 F-5s, 2 E-2s, 2 F/A-18Gs, 5 EA-6Bs, 8 CH-53s, 2 MV-22s, 6 AV-8Bs, 2 F-16s, 2 T-45s, 1 C-2, and so many F/A-18 Hornets (both legacy and E/F models) that I lost count. 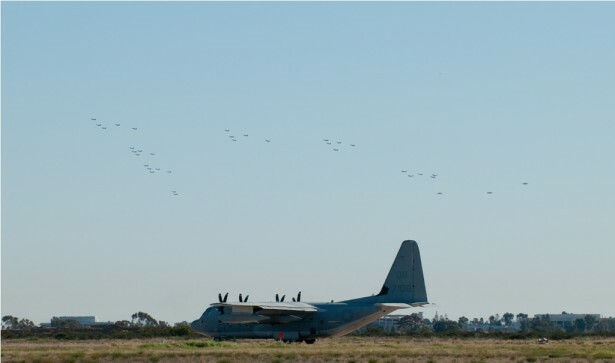 The launch was so lengthy, that some of the Parade of Flight participating aircraft (such as the CH-53s and MV-22s) had already started returning to Miramar while other CoNA aircraft were still departing. During a momentary lull after the launch, I looked towards NASNI and saw CAW 9s massive aircraft formation over North Island headed back eastbound. 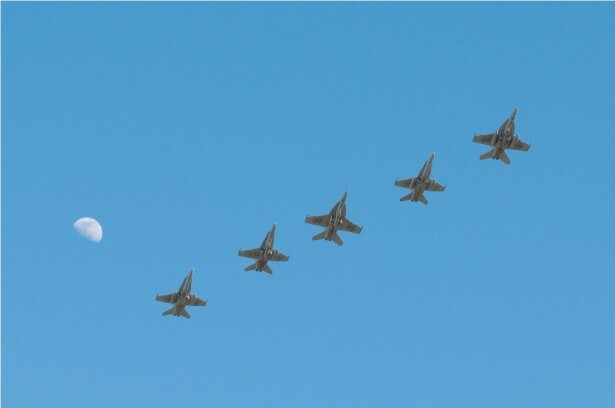 Although the photos don’t do it justice, the sight of the air wing flyover was awe inspiring! 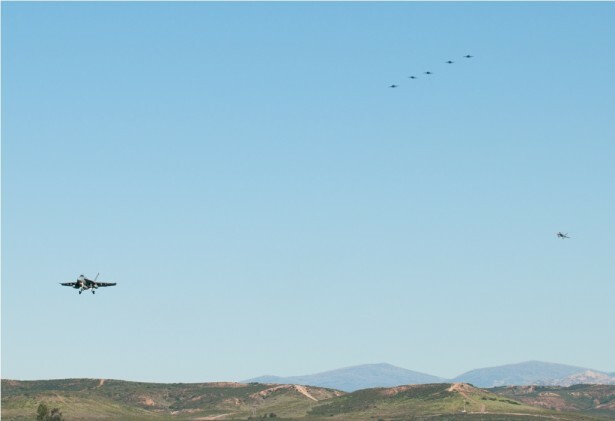 An F-5 departs as the first flight of CH-53Es return from their participation in the Parade of Flight. Carrier Air Wing 9 inbound from NASNI. Soon, the recover cycle started. Those of us at Miramar had hoped for a CAW 9 fly over, but those hopes were soon gone when the air wing continued flying eastbound from NASNI, and then broke into groups of 5 – 6 aircraft. High tempo recovery post-Parade of Flight. 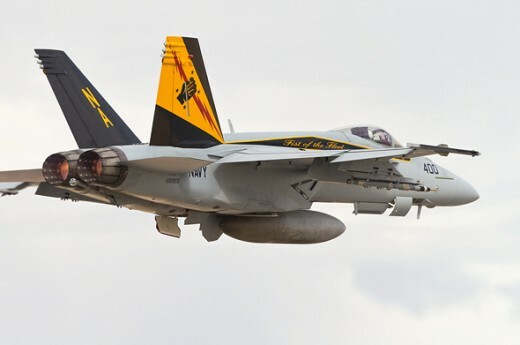 Legacy and Super Hornets stay tight over MCAS Miramar. The recovery cycle was as incredible as the launch. 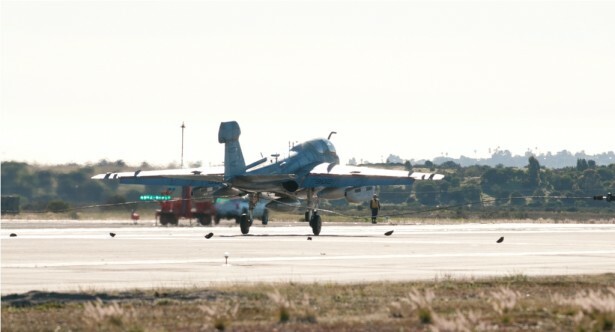 The recovery cycle also included an EA-6B that declared an in flight emergency. After dumping excess fuel, the Prowler made safe landing using field arresting gear. By 430pm, all aircraft had recovered and we were back in our vehicles heading off base. EA-6B Prowler dumps fuel after declaring an in-flight emergency with Hornet flying as chase plane. 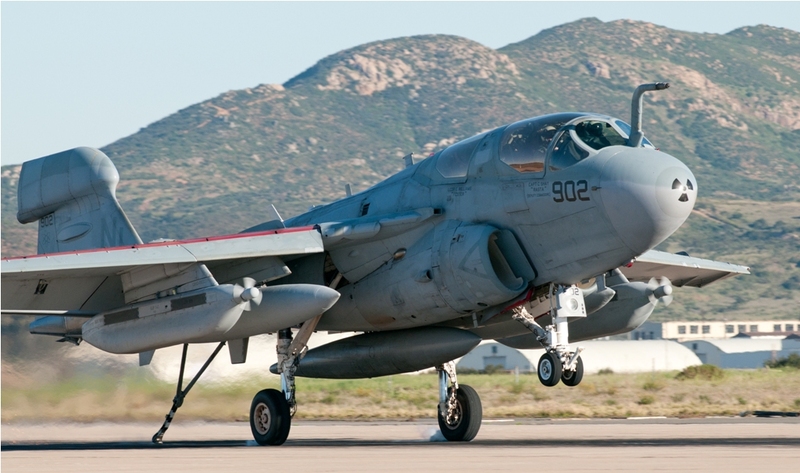 Prowler catches field arresting gear cable. MCAS Miramar Rescue crew secure and render safe stricken EA-6B. Once again, the Public Affairs staff at MCAS Miramar did an incredible job that was above and beyond the call of duty! MCAS Miramar Public Affairs is commanded by Major Manuel Delarosa. His staff includes, Lieutenant Tyler Balzer, Sergeant William Griffith, Sergeant Justin Martinez, Sergeant Regina Cruz, and Sergeant Sean McGinty. It was an honor and privilege to be able to photograph CoNA, let alone from such an incredible location. A genuine and heartfelt thanks to the entire Public Affairs staff at Marine Corp Air Station Miramar for allowing us the opportunity to document this historic event in aviation history. Whether flying with the crew of the UH-1Y, talking with airborne early warning operators about their mission, hearing a pilot tell about his first combat deployment, speaking with the 3rd Marine Air Wing Commanding General, or watching, as few people get to do, the aircraft of the United States Marine Corps and United States Navy fly, I feel proud to have met these incredible individuals who serve our country. Phil Myers, a military aviation photojournalist with a passion for telling stories and documenting the history of military aviation. In addition to his website publications, Phil’s articles and photographs have been published in several magazines. Phil resides in Southern California.